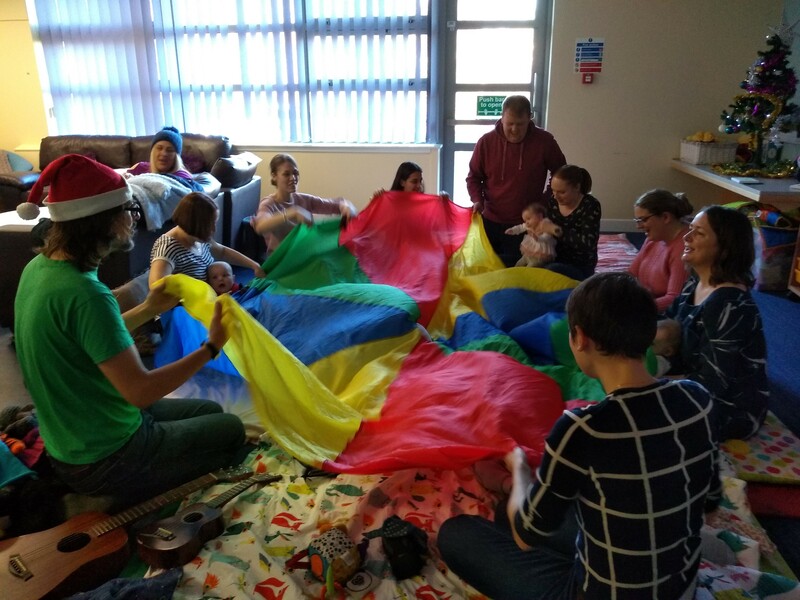 Recently the Haven team welcomed Oliver from Happy Ears to deliver two music sessions for our Baby and Parent groups. Oliver played the guitar and ukulele for the babies and they responded amazingly to the music. Both our Baby Massage and Haven Babes groups are up and and running and very busy. The groups are for parents and newborns up to 6 months old. We also have a Baby Brunch group for 6+ months old. They have been cooking up a storm recently with a menu of lentil and minestrone soups, sweet baked potato, cottage pie and tuna pasta bake so far. The babies are loving our homemade food, and helping parents develop a healthier diet will have a long term impact on their babies’ development. 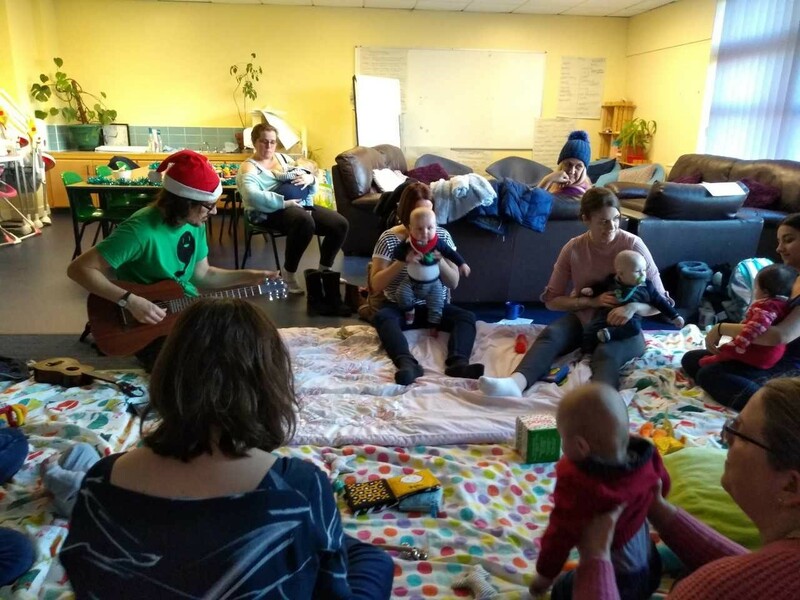 Furthermore, the babies and parents actually thrive in the social setting with feedback from the parents highlighting that their babies are eating better and they themselves feel more confident to try new foods in the group setting. To further assist parents with their babies’ diets we invited Lucy, an Infant Feeding Advisor, to meet parents and answer any questions they might have. Beyond dietary issues we also welcomed Tiam, from Stepping Stones, to deliver a much needed sleep workshop. Again we received great feedback from parents about the big difference this made to both theirs, and their babies’, health and well-being. A big thank you to Muirhouse Housing Association who have made valuable contributions to our group-work programme this term. We wouldn’t have been able to run our activities and promote healthy eating for our parent/baby groups without them.